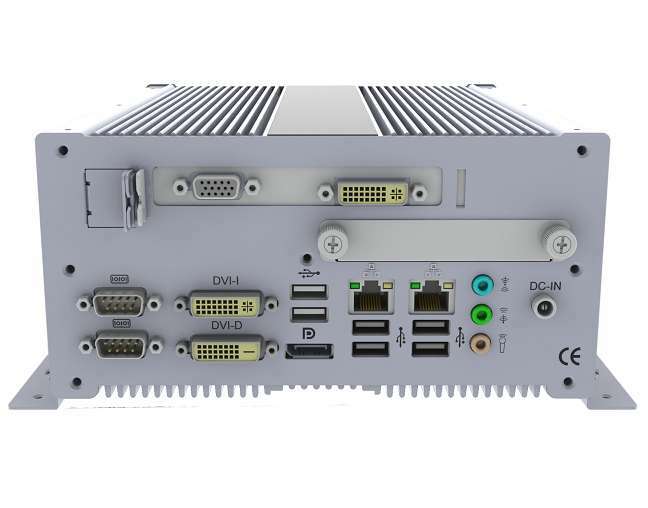 The AMI311-970 fanless system houses an MI970 Mini-ITX motherboard that supporting 3rd Generation Intel® Core™ processors. The silver-colored AMI311-970 functions as a desktop or wall mount system, designed with LEDs for power and HDD, rest and power buttons and two USB 2.0 ports in the front panel. 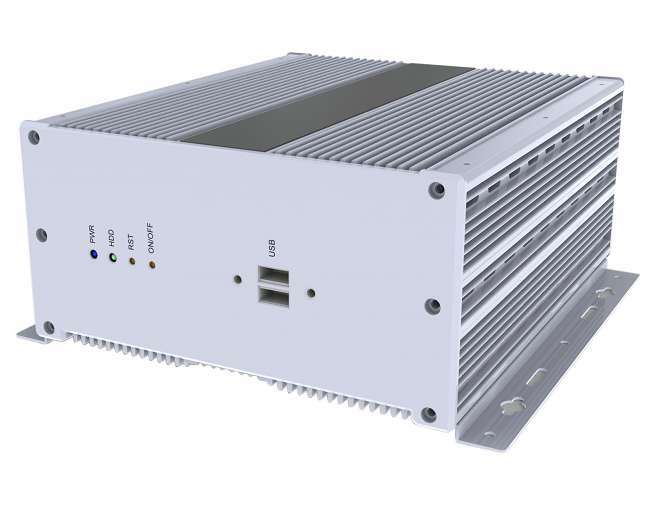 Its 231mm by 199mm by 97mm dimensions packs a variety connectors and interface for a serial port, DVI-I+DVI-D, dual USB 3.0+ DisplayPort, dual USB2.0+RJ45, audio, 2.5” removable HDD tray and a PCI-E(x16) slots for graphics expansion capability. Every AMI311-970 comes standard with 8GB of DDR3 SO-DIMM system memory, a 320GB hard disk drive and a 120W power adaptor. It is ideal for environments and applications where desktop space is at a premium such as those in factory automation, multimedia, medical and digital signage. The fanless design ensures silent and reliable operation of the system.